The underwhelming “One More Time” is just another pointless movie about a rich, dysfunctional family with problems that seem far too superficial to the rest of us. Aspiring musician Jude (Amber Heard) is falling apart. She’s addicted to a string of one night stands and pays her rent by recording radio jingles. When Jude is evicted, she moves back home to the Hamptons with her retired singer dad, Paul (Christopher Walken), and his fifth (or is it sixth?) wife, Lucille (Ann Magnuson). There are some juicy moments in this reunion, from Paul trying to plan a comeback to Jude struggling with her polar opposite sister Corinne (Kelli Garner) and family advisor and agent Alan (Oliver Platt). It’s obviously a very personal movie (written and directed by Robert Edwards), but something is very standoffish about it all. It’s almost like we are invited into someone’s home to share their intimate story but when we get a bit too close, a door is slammed in our face. Instead, we get to listen to affluent people complain about their (for the most part) cushy lives. No doubt it’s determined, but the film just can’t quite live up to the high bar that it sets for itself. There’s an undeniable chemistry between Heard and Walken, a screen pairing that I wouldn’t mind seeing again. 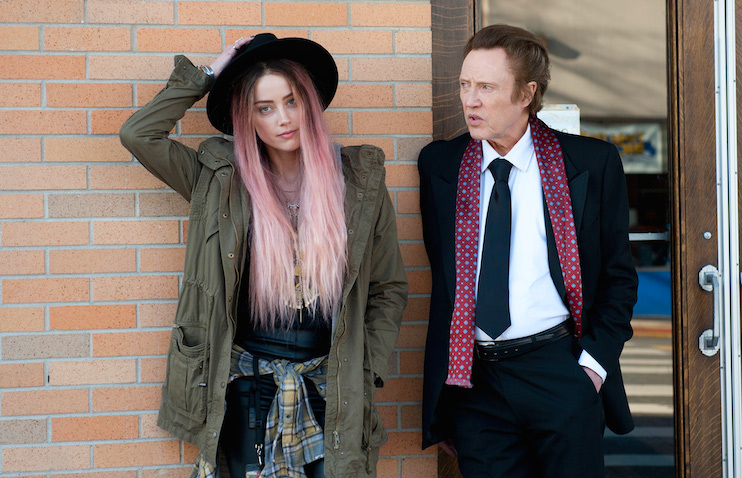 Walken is both perfect yet distracting in a role that his die-hard fans will surely enjoy. He’s a little over the top but it works, and I could see this performance becoming sort of a cult classic among his legion of fans (not saying this is a good film, but his performance delivers). Platt is almost always an asset to any film in which he appears, and Heard is perfectly cast as a struggling musician at a crossroad in her life. The actors are great but would’ve benefited from a much more detailed script to work with. I wanted so much more than the surface glimpses of these characters. Instead of making them complex and relatable, they all come off as privileged whiners. The real elephant in the room is that there’s far too much singing by folks that, let’s be real here, aren’t at all enjoyable to listen to. I don’t need to listen to actors pretending to be musicians.